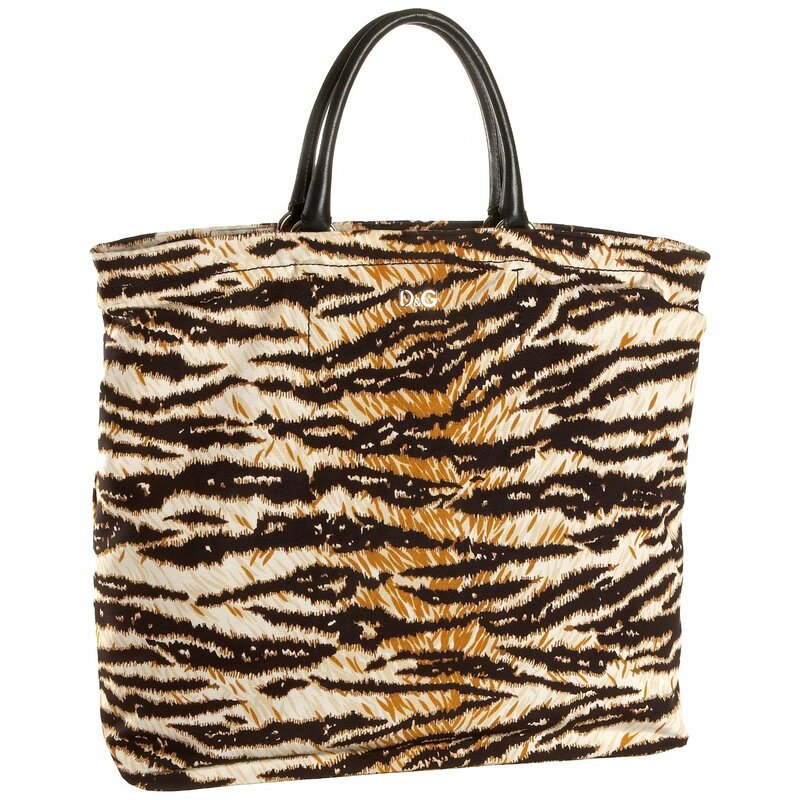 Accent your outfit with the added style of D&G Dolce & Gabbana’s Tiger print tote. This gorgeous creation is utterly chic, thanks to clean-lined, animal print faille. An attachable strap offers carrying ease while the lambskin handle offers a bit of luxury. Made in Italy. Measurements: * 16.5″ H. X 18″ W. X 5.5″ D.
The world of D&G is a mix of people, cultures, colors, music and countries, without borders or age. The inspiration behind the collections pays great attention to cuts and proportions, and to a balance between quality, style and price. D&G is a world of its own within the universe of Dolce & Gabbana: a world where fashion means irony and fantasy, where music plays a key role to re-define style, and where even the most traditional items, like the pinstripe suit or the black stretch dress, look fresh and attractively young.